We stayed in Paradise Apartments in May 2008. First impressions were lovely, staff were friendly and it was a great base for seeing the rest of the island. The problem we had was when there was some trouble. We complained to staff and we were basically ignored. Now this may have been down to the travel reps but it really didnt help us to enjoy our holiday. Its a loveley island and I would recommend it. There are plenty of pubs and clubs to go to but a lot of them dont open until end of June or start of July. So if anyone is thinking of going prior to this with the intention of partying the night away, I would suggest making sure that its in the heart of the season as May is very much family orientated and is pretty quiet. Not a lot of clubs are open and those that are tend to be fairly empty as the season doesnt pick up until June /July time. 10 of us girlies stayed here last july!! we were very impressed, the staff were very friendly and helpful and the rooms were basic but clean and sufficient with a good basic kitchen with microwave and fridge, and the air con was amazing at only a small extra cost its definitely well worth it!! we were cold one night! !so be careful its not on full power at night!! the pool was lovely and really clean with lots of space to sunbathe and a nice bar serving gorgeous food all day at very good prices! pool tables, music and internet all day and night!! people we met there were really nice and up for a laugh! the free bar nights at the hotel are well worth it! and cocktail happy hour is amazing too!! lots of choice!! and free shotss!! the staff even made my friend a cake on her birthday for us to take out which was really sweet!! the hotel restaurant has lots of choice and is very nice. paradise is more of a young peoples place not really where families would want to go..
the only downfall to staying here is the metal stairs up to the top floor there very steep when your drunk,, but also get veryy veryy hot in the day so make sure u keep shoes on if you use them!! it is about a 15-20 minute walk to the main bars, clubs, shops and restaurants which can be a bit far in the middle of the day when it is boiling hot!! 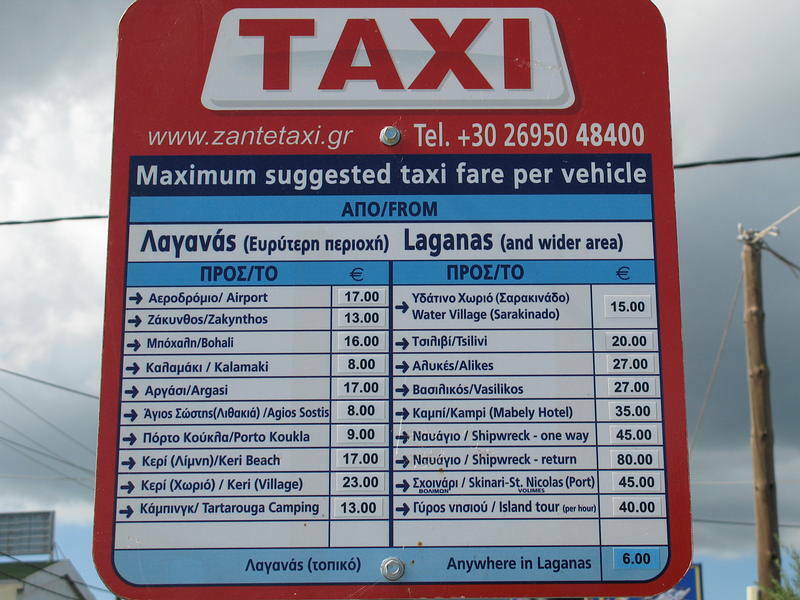 taxi's are 7 euros on the strip wherever you go which is good if you just want to walk one way and get a taxi back. the beach is o.k gets a bit packed and isnt dead clean sooo with paradise's amazing bar and pool we stayed by the pool every day which was fun and lively as well as relaxing if thats what you wanted. it gets veryyy hot the heat made us have a few powercuts but apart from that it is lovely.. If you are looking for somewhere friendly, lively and clean - The paradise is the place to stay. We couldnt believe the rooms had a plasma and a microwave, for greek accomodation this is amazing! 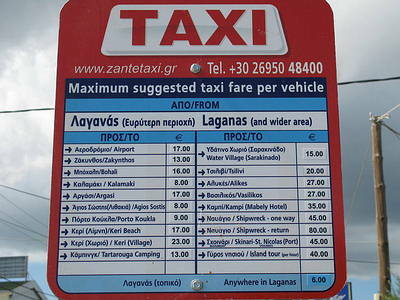 The apartments are about a 20 min walk into the lively part of laganas but taxis are only 6 euros. You can pay extra for Air con and there is a hair dryer free of charge in the room too. The Restuarant at the front of the apartments is lovely, the food is really good value and the waiters are all really friendly! If anyone is going back say hello to the crazy Sandra- but be warned she will try to get you wrecked on shots in the day! Have a fish bowl! The airport is only a 5 min bus journey away which was brilliant. Although the airport is really small n dirty! hopefully it will be done for next year! We had the best holiday and the Paradise Apartments are one of the best in Laganas! Stay here! My family and I have just returned from a weeks holiday at the apartments and all I can say is you will not find a more friendly bunch of people than those that are here. Sandra is 'mine host' and what a marvelous host she is. The apartments are quite a distance from the main strip and a little further for the beach but a taxi cost 6 euro, so you either walk or ride.The apartments have been updated and have air conditioning, along with plasma t.vs, microwaves and hairdryers.The pool and bar area are very 'chic' and the pool bar serves meals throughout the day. In the evening you are entertained by the lovely bar staff, and the cocktails are wonderful. All in all a very clean, modern apartment which I would recommend to anyone going to the wonderful island of Zante. hello,we stayed there for three years running 1999 to 2002 and found it the best holiday ever! got married since and had 4 (yes 4) children,so not had chance to go back.but looking to go later this year or early next,how do we get hold of appartment? who are they booking with?many thanks,have a great holiday! shez. We went to Paradise Apartments in May 2006 the first week was brilliant but then i was admitted to hospital on my husbands 30th birthday. DO NOT EAT FISH in Zante it makes you very ill!!! The best place to eat is Paradise pool bar and Restuarant it's cheap and lovely with friendly staff. Babis is my hero for getting me out of hospital otherwise i may still be there, thanks again Babis. Apart from my experience in a dirty Greek hospital, Zante is amazing and the best place to stay is Paradise by far. The owner, Sandra is such a lovely lady, she was like a second mum to me! 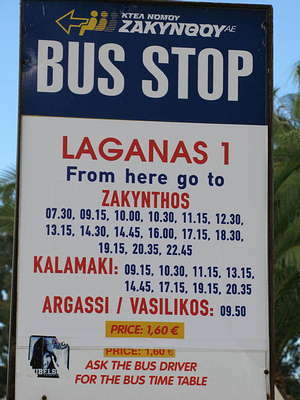 We are returning to Zante on September 2nd 2006 for 1 week and can't wait!! You spend most of your holiday laughing at Babis and Danny (pool bar staff) as they do the funnist things and give you free shots all night! We arrived at the Paradise from Wolverhampton on Friday 28th July. Its been the best holiday and the best apartments we have ever had. There was a group of 10 of us, rangeing from my 77 year old mom to my 13 year old son. The apartments cater for all ages. The family that run it Sandra, Tom, Babis, Denise and their nephew Dennis are the most friendly people you could wish to meet. Sandra works in the day and is a scream, her and my husband had an ongoing water fight for the whole two weeks. Dennis and Babis work behind the bar at night, they are a pair of nutters, they are so funny. They constantly give you free shots and shut the bar when everyone has gone to bed. The whole of my family had a fantastic time and were treated as part of Sandra and Toms family. Nothing is to much trouble for any of them. The food at the bar and at the paradise restaurant is brilliant. The rooms are spottless, beds changed and cleaned every other day, even the cleaners are friendly. Theres also a chap called Vizzy who works cleaning up the pool area, bar area and helps out with general stuff, he's lovely too, always smiling. The barbecue held on Tuesday nights is a great night, the belly dance gets everyone to join in. We could not have asked for a better holiday. The apartments are called paradise and thats what they are. Can't wait to go back again next year. hiya, this hotel is fantastic!!!! its clean, got a gourge pool and the staff are all lovely!! the resturant on the front is wicked too and food is great!! i had a great time and didnt want to leave. me and the girls leah and laura's x2, stayed @ paradise from 11th june for a week... not long enough! ppl were really friendly, great food, rooms were clean etc ad we had a right laugh. we are booking to come in august (bank holiday weekend), gonna book onthe 28th july! amazin and would recommend paradise to anyone! bars... well where do you start (well apart from fallin off them, not a good idea, relly hurts! ), loved zeros and wakikki but wasnt one we didnt go in! ldsa nice pr's mmmm... think we just terrorised them all night! deffo advise anyone to go to laganas its the most amazin place, especially for ya first girly holiday, nothing even comes close. see everyone again in august! all us 4 girls were looking for jobs etc for next season and how we would go about it. if anyone can help us please drop me an e-mail to xxleababesxx@aol.com - will be gr8! leanne = the messiah 8 aka sandy, leah = leah gill 1 sexual, laura = gringo 4 arite lad and laura = no socia l rejects 6 hayzel! me (Jayne) my husband Mark and my 3 girls went on the 9th of June till the 23rd of June. I really enjoyed staying at paradise, we made lots of friends. The staff were really friendlly and made us feel welcome. Going again in october. I'd reccomend Paradise appartments to anyone. big up babby milo and red! and snadra of course! bit of advise, go to the paradise restaurant.........u are guarenteed to fall in love wth niko and dennis...and daddy jim was a cutie too! me and a few of my mates went to zante and stayed in paradise apartments on the 12 june 2006 really enjoyed it night life was brilliant, i would recomend paradise to anyone loved it, sandra was very helpful and i also fell in love with the maintanace man of the hotel his name is vici, if anyone meets him could they remind him of me, i am going back to paradise on the 24th of august 06 cant wait!!!!!!!! me and 18 of my mates are coming here on 6th july 4 a week soo watch out boys rotherham birds are in town!!!!! Paradise Apartments are way underated. They were fab! We even served behind the bar at the BBQ which is well worth the money thanks to John plying you with free shots every couple of mins! Big shout out to Sandra, my best mate! Hope to see you all in September again! Hey!!!!!!!!! My name Darren and I cant wait 2 go to zante this summer!!!! I hear pink night is a must for all groovy party goers this year!!! !